Guy Singh-Watson of Riverford Organics is warning about the risks of Brexit-related disruptions to our food supply, timed to coincide with the ‘Hungry Gap‘. He says “to be told by people who have no idea how their food is produced that this is ‘project fear’ makes me incandescent with rage”. Farmers and seasoned gardeners will be nodding their heads, but everyone else may be a little perplexed. What’s the Hungry Gap? The Hungry Gap occurs because we live in a climate with four seasons. 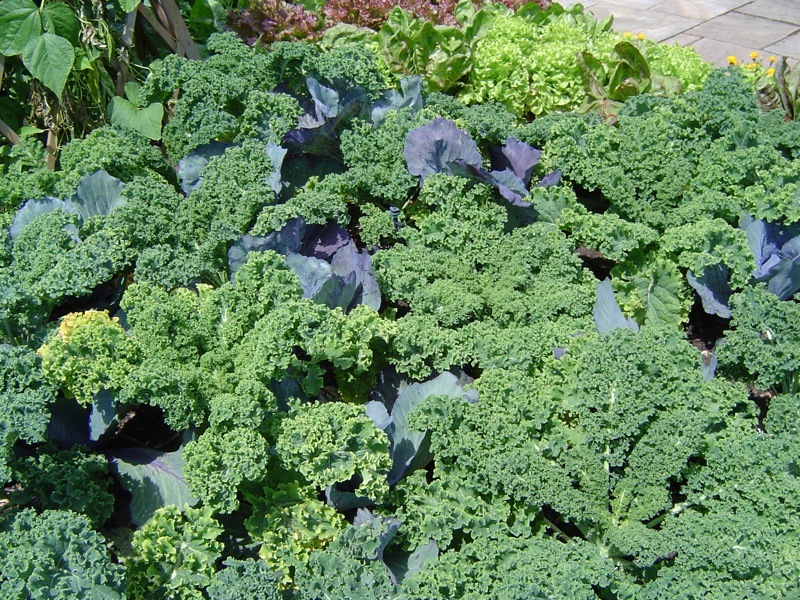 Most plants, and certainly most crop plants, don’t like growing in the UK in winter. It’s cold, it’s damp, and the short days and frequent cloud cover means there’s not much light around to fuel growth. There are hardy vegetables that will survive it – things like winter brassicas and leeks – and those are our seasonal veg in winter. By the spring, the winter vegetables have either been eaten, or are getting ready to run to seed (‘bolt’). Farmers and gardeners are busy sowing and planting new crops, but they can’t go in too early and it will be a while before they can be harvested. So there’s a gap of several weeks between the last of the winter crops and the start of the early spring crops, and that’s the Hungry Gap. It’s not a familiar term these days, because modern Britain has all but eliminated the hungry gap by importing fruits and vegetables from warmer climates (often Spain or Italy), or growing them here with copious amounts of heat and light. It’s not particularly carbon-friendly, but the issue at hand is what happens if our supply lines from Europe are disrupted. Because we rely on ‘just in time’ delivery systems, and because fruits and vegetables have a short lifespan, we could be faced with empty shelves. Riverford are already warning of major vegetable and salad shortages due to severe weather in Italy and Spain, a situation we experienced two years ago, which led to lettuces being rationed in the shops. So… how did people survive the hungry gap in times gone by, and what can we learn from those strategies? The bad news is, if we really want to survive the hungry gap without resorting to imports then we need to plan in advance. One of the main strategies is to preserve crops during the summer and autumn, so we have larger stores. We can also grow more crops that stand the winter and start into growth early in the spring, but they all have to be sown the year before. 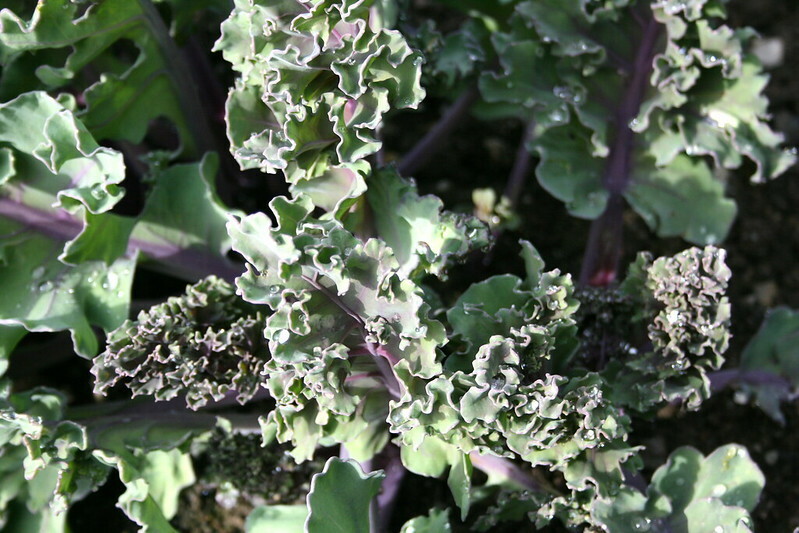 We can plant more perennial crops – such as asparagus, sorrel, rhubarb, sea kale and sea beet; they tend to crop earlier in the year than crops grown from seed, the downside being that they take several years to establish. We can also invest in crop protection – cloches, greenhouses and polytunnels – which will create a warmer environment that brings crops on and provides earlier harvests. If you have the space, and are good at planning, a polytunnel can provide you with crops all year round, but they’re expensive. Growth is still limited by the available light levels. So those are all things to think about for future hungry gaps, but what about this year? People used to head out in the spring and pick every available edible wild green they could find – a dose of fresh greens was a ‘tonic’, a welcome change after winter vegetables, and a useful supply of veg as stored supplies ran out. 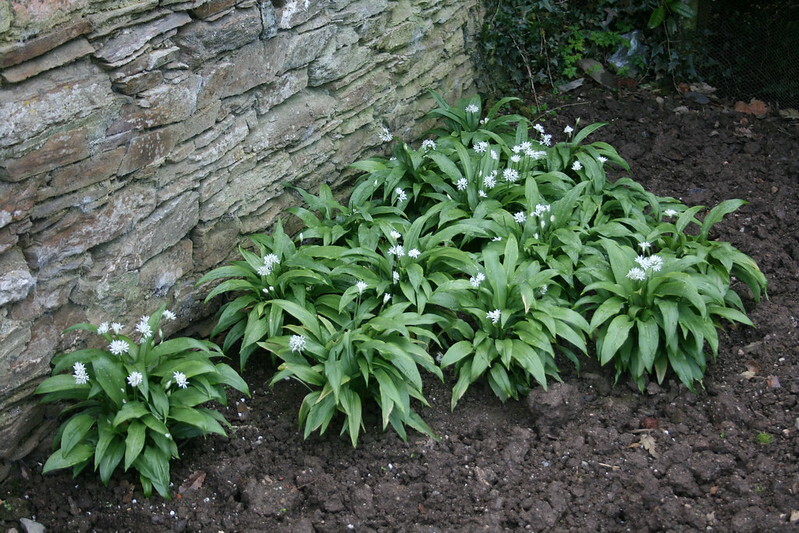 Wild garlic, dandelions and nettles are some of the earliest spring ‘weeds’; they’re prolific where they grow, and easy to identify – an important point as there are some very poisonous plants around. Spring is actually one of the best seasons for foraging, but you do have to be able to properly identify what you’re picking, so it’s best to get yourself a good guide book, or go on a course and learn from an expert. Gardeners can use their cloches to protect early sowings of quick crops, including radishes, salad leaves (particularly rocket) and spring onions, which will crop in about 4 weeks. They don’t take up much space, but you will need to water them, and check that pests aren’t building up in the warmer environment under the cloche. The final solution is to become a microgardener – sprouting seeds and growing microgreens on the windowsill. 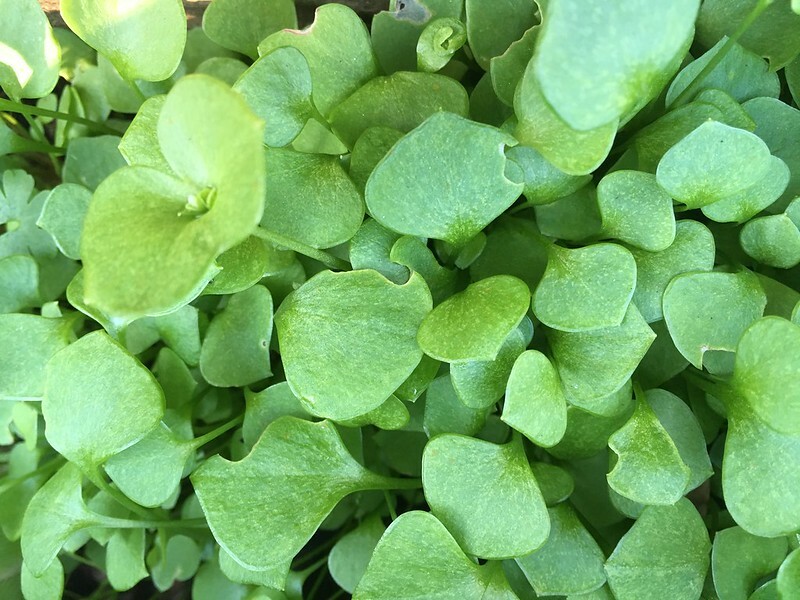 Microgreens (or microleaves) have moved on from mustard and cress (although they’re still popular!) and you can find a wide variety of seeds to sow in little punnets of compost. A quick snip with your scissors and you’ve gathered a salad for dinner. Pea shoots are an easy one to start with, and you can use dried peas from the supermarket. 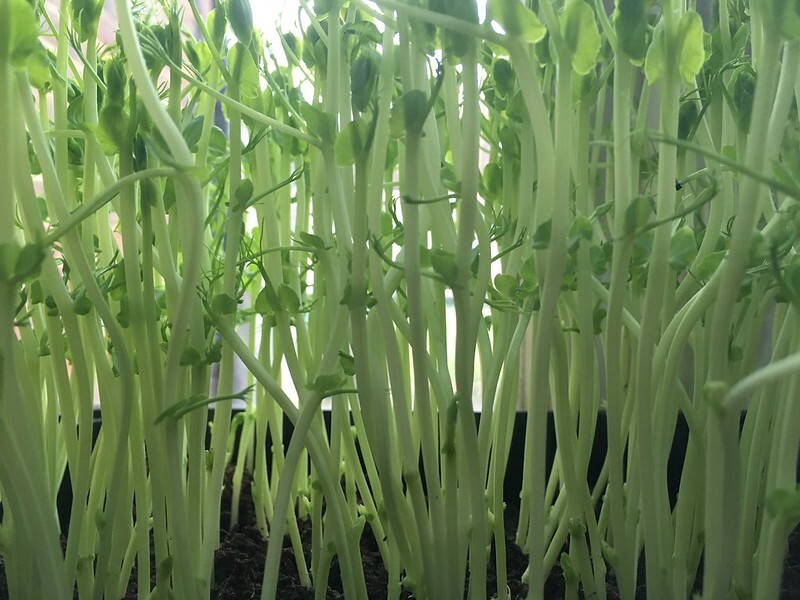 Whereas microgreens grow in compost, and need light, sprouts are generally grown in the dark, in jars or trays. The classic would be Chinese beansprouts, which are grown from mung beans. When sprouting it is important that you buy seeds for sprouting, so you can be sure that they have not been treated with any noxious chemicals. You also need to rinse your sprouts twice a day, and keep everything scrupulously clean – anything mouldy needs to be thrown away, and sprouts should be eaten as fresh as possible. Of course, supermarkets can also fly in food from further afield (which will be more expensive, and even less carbon-friendly), and we can fall back on dried, tinned and frozen veg in place of fresh. If you’re worried about Brexit (or other upheavals) and thinking about growing some of your own food this year, check out my new zine – Keep Calm and Grow Food, which is available via Etsy. Although I’m not from the UK, we here in northern Utah in the US have a long winter so we certainly have the hungry gap situation. Our grandparents used to can or bottle a lot of food or keep vegetables like potatoes and carrots in cold cellars or the like until more could be grown or purchased if they didn’t farm. We still follow some of those traditions or buy the food from the markets. Some of the millennials will have no memories of living that way but I do and I even helped with food preservation as a child and some things, into my adulthood. Home Canning and bottling is still practiced for some foods but if one gets too old or unable to do so due to a disability, a lot of families share with those family members who cannot do it. My mom has several recipes and books on canning that belonged to my grandmothers and our family still uses those today. But some foods have gotten too expensive to purchase fresh and is less expensive to just buy in the stores. We should all stock up on basic foods in case of emergency but if things run out and we are unable to replace the food, the world will be in trouble. Scary thought! Here in the UK we’ve never had the same tradition of canning things. In fact, during World War 2, Women’s Institutes here were given home canning machines from the US so that they could preserve more fruit and vegetables, and distribute them. We make jam, and some people make chutney, but beyond that home preserving is a bit of a niche thing.